(Bali, February 2018) - Samabe Bali Suites & Villas is proud to announce that have been selected as one of the World’s Most Romantic Honeymoon Destinations in 2018 by Canada’s leading international travel agency Flight Network. 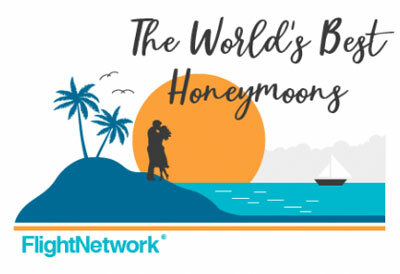 Flight Network’s travel experts searched the globe for destinations that would be the best fit for newlyweds on the hunt for a quintessential honeymoon. Newlyweds are given so many options for honeymoon destinations but deserve only the finest of places to celebrate at. With only the best getaways making the cut, we were so excited to find Samabe Bali Suites and Villas on the list. It is an honor to be included and to be recognized for our luxury and intimate surroundings. Our private suites and villas, completed with the highest attention to detail and lavish comfort, present the perfect spot to celebrate an unforgettable honeymoon. The journalist also remarked on the ultimate indulgence found right at our home. We have to agree as we place such importance on quality service, memorable experience, and romantic fulfillments. This recognition allows us to show just how romantic and intimate Samabe truly is. Newlyweds can experience an escape worthy of their dreams right on our coastal shores. True romance does not end at the wedding, and Samabe Bali Suites & Villas can make sure of that.